I really like overalls. They are just so easy to wear. I especially love this pair with the button detailing. And they are now on sale, because everything I buy goes on sale right after I buy it. I swear, this happens all the time. But, whatever. 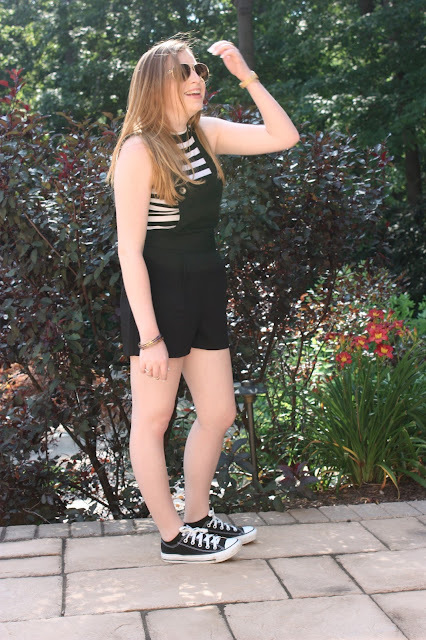 I decided to wear this striped crop top with the overalls, which I really love. I can't wait to work it into more outfits. And then of course some converse finish off this casual look.